(Depoe Bay, Oregon) – What whales sometimes do on the central Oregon coast will absolutely surprise many: especially how close they can get without humans noticing – on the beach, no less. Then there are there a myriad of wild beach finds, like the green flash at sunset or velella velella. Or in the case of the Depoe Bay area: strangely shaped objects that defy description, or ancient forest stumps that are unique even among all the ghost forests of the region. 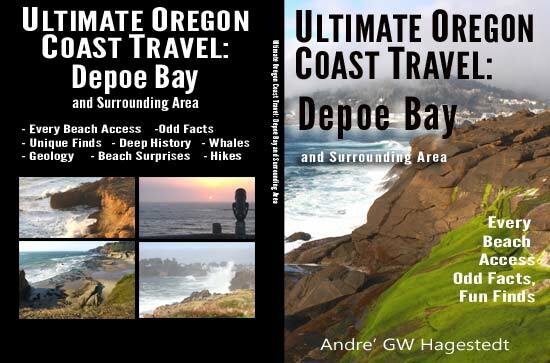 These odd finds, fun facts and more are mixed in with surprising history of Depoe Bay and a deeply detailed look at every beach access, all part of the fourth paperback and ebook in the Ultimate Oregon Coast Travel series, with both now available at Amazon.com. Written by Andre’ GW Hagestedt, it brings to light a bevy of unusual finds, hidden spots, surprising science and some rather unknown facts. The book debuted at the number one spot on Kindle for the category for new releases in the travel reference category. 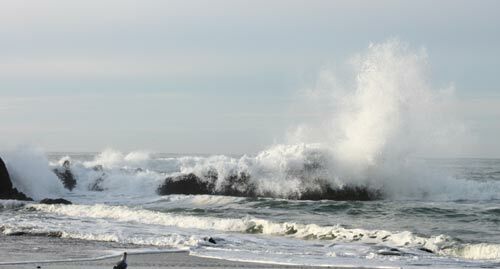 Ultimate Oregon Coast Travel: Depoe Bay covers the tiny town and the areas around it, including every beach access, and the history and science behind Gleneden Beach, Lincoln Beach, downtown Depoe Bay, Devil’s Punchbowl, Otter Rock, Cape Foulweather and Otter Crest Loop. Like the previous three books on Lincoln City, Cannon Beach and Seaside, this one also delves into various oddities like all that slippery green goo, the famed “Second Summer” and other curiosities of sky, sea and sand. The overall theme of the Depoe Bay area is a unique paradox: there are lots of hidden spots, but they aren’t really secrets. They’re simply overlooked, tucked away just out of sight, or actually somewhat forgotten. Or in some cases they are hiding in plain sight. This stretch from Gleneden Beach down to almost Newport is chock full of them – perhaps more than any other slice of Oregon coast. 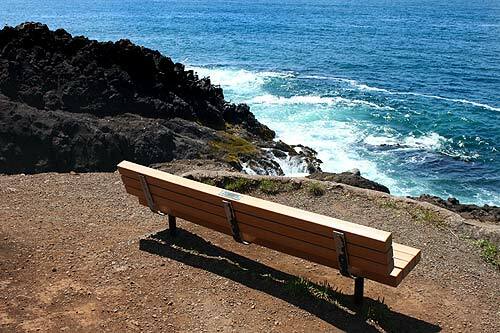 Among them are spots like Rodea Point, where waves make a wild show – and an intense sound – but no one knows about this gravel patch lookout by the sea. It sits at the beginning of Otter Crest Loop, which is itself off the beaten path enough to be rather clandestine on its own – yet it’s not intentionally kept from the public. Then there’s the absolute secret section of the Oregon Coast Trail, which is only that way because state officials forgot to put it on their trail map. It too is full of wild wonders, including a very close proximity to the boiler at Boiler Bay and access to an actual hidden spot that just screams pirate’s treasure. The book also delves deeply into the history of this area, including Gleneden Beach’s quirky beginnings and the adventurous tale of the shipwreck that got Boiler Bay its name. That’s like an action movie that needs to be made. On the amusing side: there’s the freaky legend of the “little flying men” around Devil’s Punchbowl. 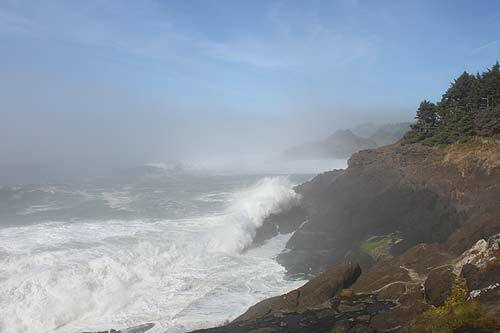 Like the other books in the Ultimate Oregon Coast Travel series, geology of the area gets the detailed look. 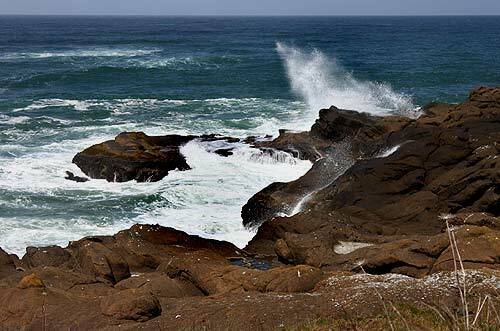 This time, you find out the odd and ancient story of why all those rocks around Depoe Bay are rounded and bubble-like, and you get glimpses into the surprising origin of Cape Foulweather.